A well-thought-out plan provides your employees with opportunities and clear direction on how to increase their skills and advance their careers. And with a more expanded skill set, they have more tools to help your business forge ahead. It's a win-win for you and your staff. An employee development plan or program shouldn’t be created off the cuff. The following are steps to take when developing plan. Consider your business goals - Before you set objectives for employees, you should try to align their development plan with your company’s needs. Otherwise, you and your employees’ efforts could be all for not. Start by considering what your long and short-term business objectives are. 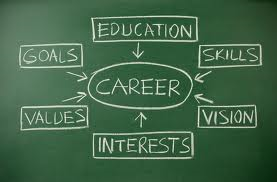 Then identify the necessary skills, knowledge and competencies that support those objectives. By developing a plan around the future of the business it identifies the skills sets needed, the development needed and creating career paths through development demonstrates a commitment to talent development and provides ability to retain top talent. Talk to your employees - Don’t assume you know your employees’ skill level and career aspirations. If possible, have a face-to-face discussion with each of your team members to get a better understanding of what their career goals are and how they think they can accomplish them. You should also talk about any challenges they’re having in their current position. Have your employees do a self-assessment of their work. In what areas do they struggle the most? Would they benefit from additional training or mentoring? Some of your employees may already have a career path in mind. But many times, they don’t know how to get started. By talking to them, you can work together to figure out what role your business plays in this plan as well as what opportunities you can offer them. Decide what skills your employees need - Once you’ve looked at each of your employees’ abilities and experience, as well as your company’s needs, it’s time to decide exactly what skills each person needs to acquire. Be sure to your employees’ goals are specific and timely. It’s much more difficult to measure an employee’s progress when their objectives are vague or broad. Create an action plan - Now that you know what the objectives are, it’s time to figure out how your employee will go about achieving them. Developmental programs can include a combination of activities such as formal training, reading, working directly with subject matter experts, one-on-one coaching and mentoring, and visits to institutions that offer specific development opportunities. Once you’ve identified some specific learning opportunities, create a plan. First you need to consider what it’s going to take to put your employee’s plan into action. Is there any prep work that needs to be done? Is anyone else involved? Will employees need to take time away from work? Will someone else need cover for them while they’re training? After you have all the details sorted out, it can be helpful to create a schedule or time table so that employees keep moving forward and continue to pursue their goals. Apply the new skills in the workplace - You’re spending a considerable amount of time and possibly money on helping your employees improve their skills. To get your greatest possible return on investment, your employees need to be able to put those new skills to work in your company. Set up some opportunities where your employees can quickly apply the new skills to the job and get feedback. This will help them reinforce and refine their new skills. If they don’t use the new knowledge when it’s fresh, they’re likely to lose it. Creating a development program not only helps you make your workforce more effective and knowledgeable, but you can also improve employee satisfaction. And when your employees are happy, they're less likely to go looking for work elsewhere.